* Shaun the Sheep Movie - Flock in the City Sticker Activity Book: full colour activities including flick books and storyboarding, puzzles and 100 stickers. * Shaun the Sheep Movie - Sheep on Set Activity Book: mixture of colour and black and white activities relating to Shaun’s adventure in the Big City. * Shaun the Sheep Movie - Shear Madness: large font junior novel/chapter book, illustrated with stills from the movie. 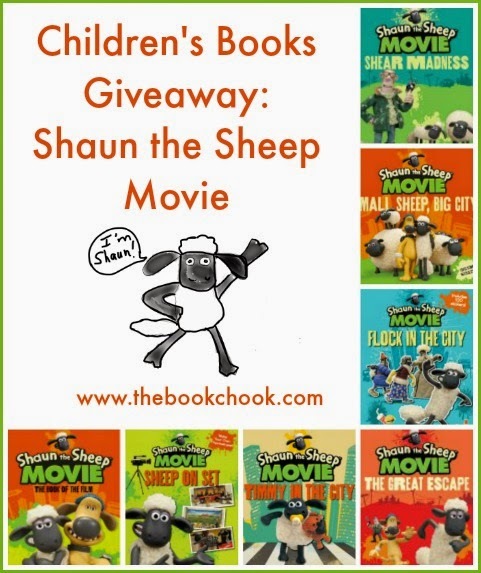 * Shaun the Sheep Movie - Small Sheep, Big City: picture book version of the sheep adventure in the city, plus stickers kids can use to illustrate their own stories. * Shaun the Sheep Movie - The Great Escape: large font junior novel/chapter book, illustrated with stills from the movie. * Shaun the Sheep Movie - Timmy in the City: a sturdy board book with stills from the movie and easy-to-read captions means younger kids can join the fun too. * Shaun the Sheep Movie - The Book of the Film: hilarious chapter book version of the movie for children 8+ with one insert of some movie stills. * A single ADMIT 2 ticket to the Shaun the Sheep movie, to be used any time the movie is screening in Australian cinemas. I love the way Walker have provided for so many children’s age ranges and interests with the books celebrating the movie! This would make a fine bundle for home or school. Read on to discover how to enter the giveaway. Giveaway: Luckily you won’t find giveaways that demand you jump through hoops at The Book Chook! All you need do is send an email to thebookchook (at) gmail (dot) com with Shaun the Sheep in the subject line, and underneath, your name, the Australian address where you wish to receive the package should you win, and the email address you want me to contact you through. A random chicken will choose two prize winners at 5.00am on March 11. (The chickens rise early around here!) Winners will be notified soon after. The two winners have been notified! Are your kids Shaun the Sheep fans? Shaun certainly has stolen lots of hearts, mine included. You’ll find all sorts of extra fun at the Shaun the Sheep website, with crafts, e-cards, sheets to colour, a game designing activity using Scratch, a Shaun printable mask AND your own printable flock ears! I found instructions for how to draw Shaun, but maybe you need to have some artistic ability? Under games, there are flocks and flocks to choose from. How many sheep will you lose in Home, Sheep Home? Try Bleat Box and be sure to click the other animals etc to get some interesting sounds and rhythms. Discover the apps for sale there too, including Top Knot, which is free. 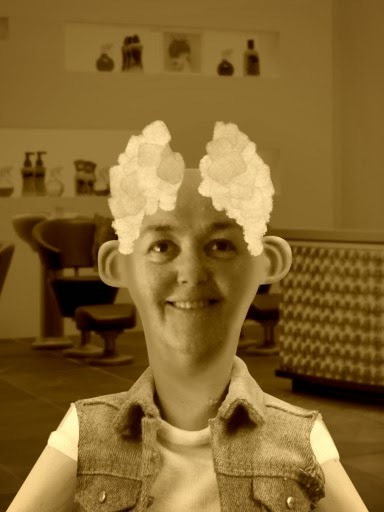 This gives you a chance to see how you’d look if you did decide to join Shaun’s flock, even trim off your fleece. Judging by my result (below), I’ll stick to being a chook!